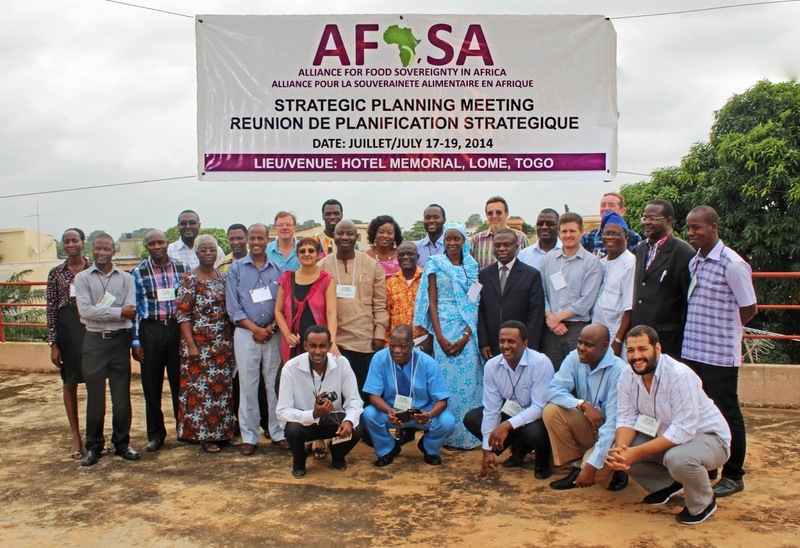 In response, AFSA is working toward the transition of agroecology over industrial agricultural methods. In July, it release its Theory of Change that articulates its short and long-term goals and the need for sustainability, resilience, and agricultural biodiversity in farming systems in the face of climate change. Formed in 2008, AFSA has 25 member organizations who work together to strengthen the movements for food sovereignty and agroecology across Africa through its three primary work areas: Lands Grabs, Seed Sovereignty, and Agroecology. Members include Friends of the Earth Africa, the Center for Indigenous Knowledge and Development (CIKOD), The African Biodiversity Network (ABN), La Via Campesina, and the African Center for Biodiversity(ACB), among others. AFSA has long been a partner of AGRA Watch. Several AFSA leaders participated in the 2014 Africa-US Food Sovereignty Strategy Summit, which CAGJ/AGRA Watch hosted in Seattle. AFSA champions small family farming and production systems based on agroecological and indigenous approaches that lead to food sovereignty and sustainable community livelihoods. To resist the corporate industrialization of African agriculture, which results in land grabbing and the destruction of indigenous biodiversity, ecosystems, livelihoods, and cultures, ASFA sees that, “the time for agroecology and food sovereignty is now”. Posted in AFSA, agroecology, News and tagged AGRA Watch, Food Sovereignty.